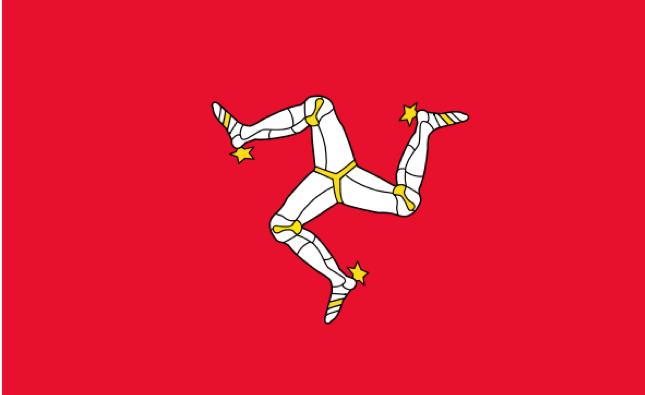 In the Irish Sea, on a small island called Mann, only 32 miles wide, one of the 65,000 inhabitants decided to begin ballroom dancing. Partly because his Mother had a dancewear shop, but mostly because he was a born competitor. He dabbled in BMX, mountain biking, cut his teeth on the track, tried and quit a job at a bank, and finally moved to Italy. He intended to be a bike racer, and knew he would be the best in the world someday. In 2006 he officially rode with his first professional cycling team, Team Sparkasse, but quickly moved into T-Mobile, and then finally changed teams to HTC-Highroad. He rode with and learned from the best in the sport. 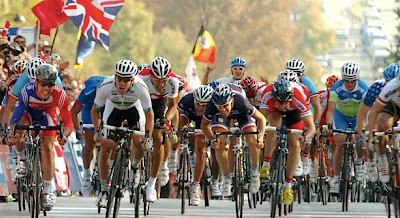 It became an orchestrated effort to get Mark Cavendish to the finish line. Man after man led the way for him, until finally today he beat out his best lead out man (Matt Goss) and his rival (Andre Greipel) to win the most desired title every young racer dreams of - Road World Champion. Mark Cavendish became the second British citizen to win the road title. Tom Simpson won in 1965. But this was not Cavendish's first World Championship win, Cavendish won the World Championship in the madison with Rob Hayles at the 2005 UCI Track Cycling World Championships in Los Angeles. He repeated a second madison World Championship with Bradley Wiggins in 2008 in Manchester. Mark Cavendish Palmares: Cavendish also won Milan San Remo (2009), the Points Classification (green jersey) for both the Vuelta a España (2010) and the Tour de France (2011), 20 stages of the Tour de France, 7 stages of the Giro d'Italia, and 3 stage of the Vuelta, along with a lot of other races. Visit his Mark Cavendish official website to read his complete impressive Palmares (history of wins), or buy a very understated Cav tshirt. The rainbow stripes belong to 26 year old Mark Cavendish for the rest of his life. This year the UCI World Championships were held in Copenhagen, Denmark, next year they will be in Limburg, The Netherlands.